Welcome to the Comfort Inn & Suites Chesterfield, MO! The Comfort Inn & Suites, located in Chesterfield, is conveniently located just one mile from the Spirit of St. Louis Airport. The hotel location is also ideal for visiting a number of local attractions that are popular with tourists from near and far. Grab some tickets to Busch Stadium to watch a Cardinal game and experience all that Cardinal Nation has to offer. Scottrade Center, home of the St Louis Blues and several concerts/events, is also a simple downtown drive away. Visit the Butterfly House, which is located at Faust Park and watch your little ones on the playground or mingle with butterflies in free flight . Opt to visit Six Flags St. Louis for a day full of excitement and thrills, go to the Saint Louis Zoo and see the animals, or enjoy any of the St. Louis Science Free Museums for a day of learning. All of these attractions are within 15-20 miles of the hotel. The Comfort Inn & Suites is also situated within a few miles of the Westfield Chesterfield Mall, the Chesterfield Commons strip mall and the new Premium Outlet mall, and Taubman Outlet mall. Near these shopping hot spots you will find a large number of restaurants, as well as cocktail lounges. Our Chesterfield Hotel includes a number of amenities to make your stay more comfortable. You will have access to free wireless, high speed internet, a free weekday newspaper, free parking and a complimentary hot breakfast. Sip on our excellent coffee or choose from a variety of teas while you enjoy our breakfast menu of eggs, waffles, pancakes, meat, cereal, fresh fruit, and yogurt, just to name a few. You will also be able to use the exercise room to squeeze a workout in or take a dip in our indoor heated swimming pool. If you are traveling on business, you will appreciate the fax and copy services that are available to you. An added bonus is that we offer competitive corporate rates and our meeting room can accomodate up to 60 people. Our Comfort Inn & Suites guest rooms are intended for comfort and all rooms come equipped with refrigerators, microwaves, coffee makers, irons and ironing boards, hairdryers, and voice mail. Our suites include a pull out sofa sleeper and some are equipped with a jacuzzi. We also offer onsite laundry facilities and outdoor smoking area, as the entire facility is non-smoking indoors. 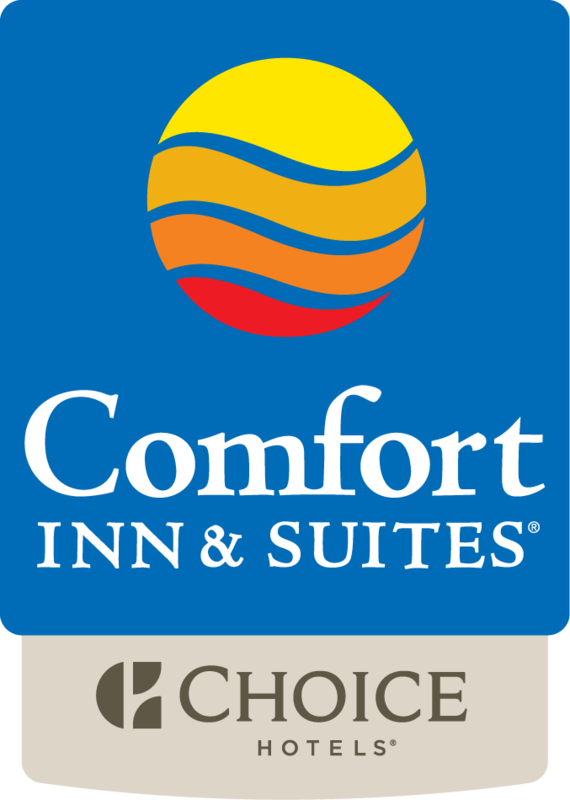 If you are looking for a hotel with comfortable accommodations and friendly service at an affordable rate, then The Comfort Inn & Suites in Chesterfield is the perfect place for you and your family. Contact us and book your stay today! You don't have to go very far to have fun. Check out the Chesterfield parks, recreation and arts website (chesterfield.mo.us) to get more information and a schedule of local events. Enjoy music, art, league games, and much more! Forest Park, the seventh largest urban park in the United States, is located only 21 miles from the hotel. Forest Park is home to St. Louis’ three major museums, Saint Louis Zoo, the Jewel Box and The Muny. Check out our "Feature" section to find out more.